The All-Star game is a chance to see some of the best players in baseball, and it all kicks off tonight in Phoenix with the Home Run Derby. The Derby starts at 8:00 PM EDT on ESPN stations. It doesn't seem that long ago when Ryan Howard won the Home Run Derby, but it was back in 2006 when he accomplished that feat. Howard hasn't wanted to take part in the contest this year or in 2010. Prior to that, he competed in the Derby on 3 other occasions. Howard's decision to not take part in the Derby is curious, he is in the prime of his career and has been one of the best home run hitters in recent years. The need for him to 'relax' is coming at a price of not being seen with the best home run hitters in the game and a feeling that perhaps he is putting his own needs first and not what's better for baseball. Ryan Howard is not the only player to 'snub' the All-Star game's activities. A lot of players are doing that very thing this year. Among them, Derek Jeter, who just passed a tremendous milestone of 3,000 hits, and is only the 28th person to do so in baseball is snubbing the AS Game itself. Injuries aside, the 'All-Star' snub is something that is bad for baseball, and even for the players themselves. Ryan Braun, and others have put themselves on the shelf for the All-Star Game. If a player isn't injured, there should be no reason for them to just put thier selfish needs above baseball. A lot of the players who are doing this by the way are the highest paid players in the league, so that tells you something about their priorities. The game has made them rich, and now they no longer want to give back to the game. 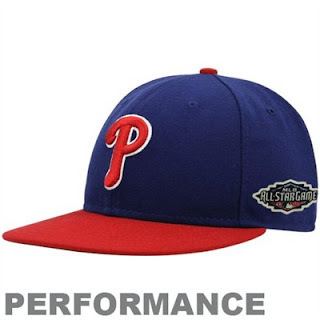 The MLB should fine any player who snubs the All-Star game who isn't injured, with a $150,000 price tag on it. That works out to be about one game's pay for these snubbers who earn $20 million a year for playing a kid's game. I think the way Howard has been swinging the bat, he does need some time off. I think he would have a hard time against a pitching machine unless of course it was right handed machine. Perhaps he's fearful he might face a left handed pitcher or one with a decent breaking ball?